My grandparents Chuck and Jean Lowry loved to travel, which was easier said than done with 11 children. Once their kids were older, they often traveled with friends to Florida. I don’t know exactly where this photo was taken, but the trees and horse statue don’t make me think Florida. I’m going to have to ask around to figure this one out. I’m guessing this was taken in the early 1980s. Charles (1924-2007) and Jean (1924-1987) Lowry, photograph, taken at unknown location in early 1980s; digital image, photocopy of original, scanned in 2013 by Joseph Lowry; privately held by Pat Lowry, [address for private use], Poland, Ohio. 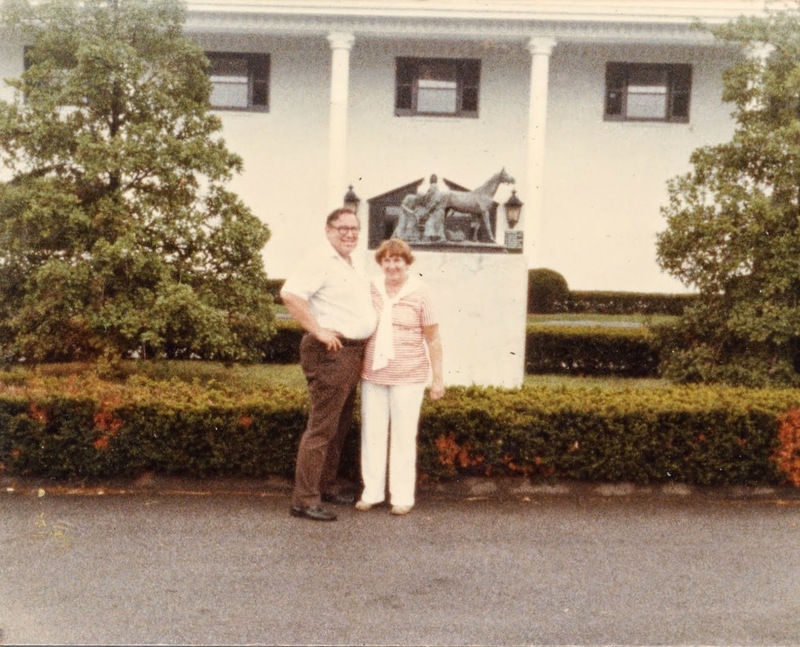 Couple standing in front of shrubbery, horse statue and white Colonial structure. Provenance is Charles Lowry to Patrick Lowry.